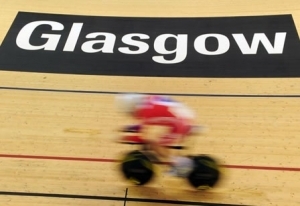 Cycling Southland's three representatives at the 2013 UCI Juniors Track World Championships are in for a busy week with confirmation of their riding schedule in Glasgow. Jeremy Presbury and Liam Aitcheson return for a second title at the junior world podium after representing New Zealand at last year's championships in Invercargill. They are joined this year by Josh Haggerty for his world championship debut. Racing begins on Wednesday evening New Zealand time, with Haggerty and Aitcheson lining up in the Men's Team Pursuit qualifying which commences at 10:30pm. Aitcheson was part of the silver medal winning NZL combination last year which finished less than 2 seconds behind Australia in the gold medal ride in Invercargill. Australia will field an all new combination this year, likely to include talented first year Jack Edwards, who has starred on the SIT Zerofees Velodrome over the last two years as a visitor for the Yunca Junior Tour and ILT Junior Track Carnival in October. Russia's Dmitry Strahov, part of last year's bronze medal winning Russian team also returns to contest this year's championships, after winning the European junior championships ahead of France in 4:10. The team pursuit finals are scheduled for 7:05am Thursday morning, while Presbury will start his 2013 campaign in the Men's Team Sprint qualifying at 6:25am. Presbury and Auckland's Zac Williams both return after appearances last year and are joined by the Tasman duo of Quinn Karwowski and Callum Saunders. Karwowski looks set to lead-out the New Zealand squad with Presbury likely to take second wheel and Williams and Saunders to fight it out for the third spot. The kiwis (Presbury, Williams and Southland's Tom Beadle) came within half a second of making the podium, finishing behind Mexico in the bronze medal ride-off this year. They will be hungry for success but will face stern challenges from last year's champion Russia (which also has two reigning world champions returning this year), silver medalists and Oceania champions Australia and the powerful European sprint nations including European champion Germany and France who are sending large squads to Glasgow. The Team Sprint finals are scheduled for 7:50am Thursday. Day two commences at 10:30pm Thursday evening with Presbury lining up in his favoured event, the keirin. Presbury is currently ranked number two in the world rankings, behind Russia's Dubchenko, who looms as his greatest threat. Given the unpredictable nature of the keirin, nothing can be taken for granted but the Russian shaded Presbury to take the bronze medal 12 months ago and the pair are likely to enter the event as strong favourites. The first round begins at 11:50pm, followed by Repechages at 1:05am. The Men's scratch race heats (if required) conclude the session from around 1:35am with Haggerty lining up in the black skin-suit. Heats are held over 30 laps with the final scheduled for 40. The scratch race final is scheduled for 6:40am Friday morning with the Keirin second round at 7:10am and finals at 7:50am.